Ruth Anne Wood interviews Founder of and CEO of Inez Bracy International, LLC . Inez Bracy, Lifestyle Strategist helps clients create new habits that promote overall well-being, a sense of freedom, confidence, earn more money and peace of mind. Growing up as a sharecropper’s daughter, Inez wondered “is this all there is to life?” At the age of ten she and her family moved off the farm into town…three streets and a post office. While in high school, Inez traveled to the New Jersey Shore to work during the summers. What an eye opening experience that was! She learned that YES there is more to life and that it was available to her. Graduating high school and college, Inez embraced life with a robustness and joy that ensured her success. She devoured personal development books and trainings…noticing her life change as she learned. She knew she wanted to share this with others; that they can love themselves, be joyful, create a lifestyle of their choice, be confident and feminine. 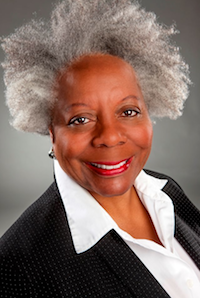 Inez Bracy is the voice for business and executive women’s mind, body and spirit success. As founder and CEO of Inez Bracy International, LLC, she has created a dynamic enterprise that is devoted to empowering business and executive women around the world. She quit her job. Without a mentor or coach to guide her, Inez immersed herself in books, seminars and workshops on business development. It didn’t take her long to realize that her business would be easier with a coach. Hiring a coach appealed to her because she knew the value in having an experienced guide who could help her build her business. While being happy that she was free from her job, this proved to be a difficult time for Inez. She became unsure of who she is, what she was doing and why. Inez hung in there. The thought of giving up her independence was too painful to bear, and her perseverance today illustrates how to find success if you really want it. “I trusted myself. This was my path. I listened to my heart and knew that this was what I was supposed to do. Soon enough I figured it out, one day at a time.” And that’s when her business started to move in the right direction. Inez’ a-ha moment was to create her first book, titled Rejuvenate Your Life: 21 Days to Feel like a Woman Again. A book to help women begin their journey to self-discovery and self-love.